I have limited info about this disc. It was auctioned in 2003. Since this song was recorded during the Help sessions but it wasn't released until it showed up on Rubber Soul, it could date from either period. If it dates from the Help sessions, it's probably a typical production acetate and might even contain the unreleased RM1. If it dates from the Rubber Soul sessions, it was likely used to refresh the memory of the song. In which case, it would likely be the standard RM2. An one sided, 7 inch. 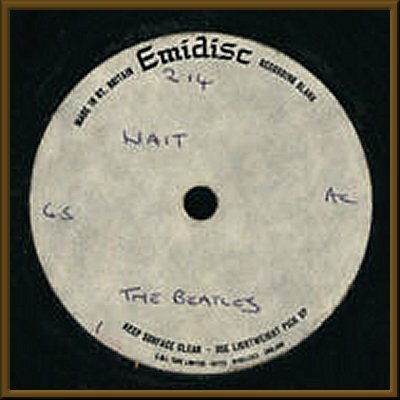 45 rpm acetate with hand-written Emidisc label reading 2.4 wait 45 ac the beatles, in blue ball point pen.